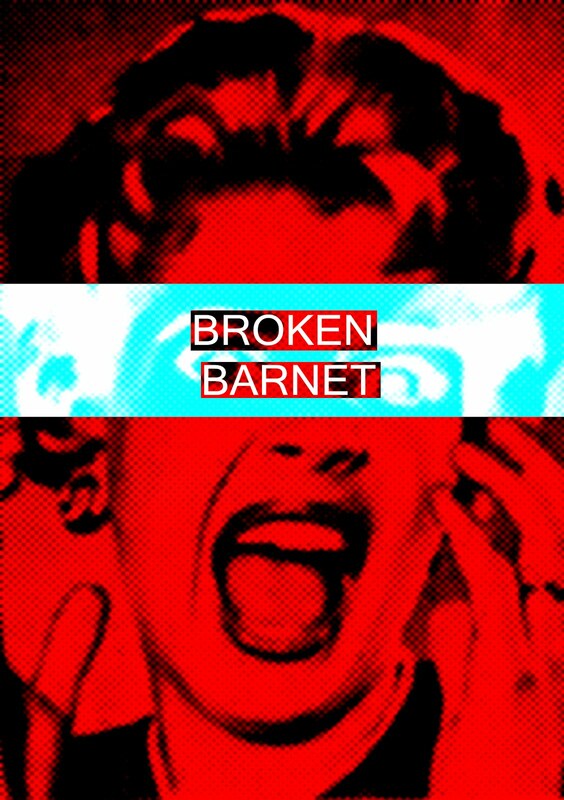 As readers will know, there has been a certain amount of controversy in recent weeks over the small matter of Barnet's enormous 'customer service' contract with Capita, and the revelation of a payment of £16.1 million to Capita for a sum of capital investment which the Tory council has always claimed would be an 'upfront' payment by ... Capita. I am writing to you in your capacity as Section 151 officer of the London Borough of Barnet, to make a formal complaint about the actions of the authority in the matter of the capital investment for the NSCSO contract with Capita Plc. I believe that officers and members of the authority, at the very least, may have acted in breach of the council's own Code of Corporate Governance, Principle 4, 'Taking informed and transparent decisions which are subject to effective scrutiny and managing risk', and that there has been a further breach of the constitution rules regarding key decisions, as explained below. Statements by the leader of the council, the Cabinet, the senior management team, press releases made by the authority and information on the council website, have consistently maintained, and in the latter case continue to maintain, that Capita would make a large capital investment 'upfront' in the course of the NSCSO contract. The necessity of this investment by a private sector partner was given as the reason why the authority dismissed out of hand any consideration of an in-house option as an alternative to privatisation of council services. 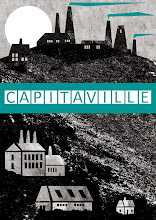 If an in-house option had been adopted, not only would many local jobs have been saved, all efficiencies made through better management of such functions as procurement would have been retained by the authority, as opposed to a limited amount capped in the contractual agreement with Capita. By ignoring this option, I believe that the statutory duty of the authority to make the best use of taxpayers' money has been breached. Not only have the leadership, Conservative members and senior management team of Barnet Council promoted the need for privatisation, and the contract with Capita, on a totally false premise, they have continued to mislead residents by misrepresenting the facts, and maintaining that capital investment is to be given by the company, rather than admitting that money has been taken from the authority's reserves and paid to Capita for this purpose. Council leader Richard Cornelius said the combination of a saving to the taxpayer of a million pounds a month and an £8m investment in technology by Capita made it a "very, very good deal for the Barnet taxpayer". This deception has continued even after the payment £16.1 million has been formally approved by the Leader of the council.. The business model approved by Cabinet on 6th December 2012 stated clearly that this investment was to come from Capita: how can it be lawful, therefore, that having approved the contract on this basis, we now find the reverse is true, and taxpayers are paying for the investment? If there is any financial argument for such a fundamental change, why has the authority not been open and transparent about this new agreement, and sought approval through the appropriate procedures? The approval to add £16.1 million to the capital programme in order to pay for the capital investment was made on 5th August this year by Councillor Richard Cornelius, in an action defined as a 'non key' decision. According to the council's own constitution, key decisions are those that are 'significant in financial terms or in their effect on communities comprising two or more wards'. Quite clearly the decision to remove £16.1 million from reserve funds in this way most certainly is a key decision, and departs in the most fundamental way from the business model approved in December. "Capita will also make an £8 million pound investment in technology to improve council back office services". What is that statement, other than a deliberate misrepresentation of an unpalatable truth? Capita will make an upfront investment which will provide improved Information Technology and telephone support to improve council back office services. When key decisions are to be discussed or made, notification is published at least 28 days before. If these decisions are to be discussed with council officers at a meeting of the Executive, this will generally be open for the public to attend, except where personal or confidential matters are being discussed. The Executive has to make decisions that are in line with the Council’s overall policies and budget. If it wishes to make a decision that is outside the budget or policy framework, this must be referred to the full Council to decide. Unless the change of policy, and a radical change to the terms of the business model represented by the decision to use reserve funds for a capital investment payment to Capita has been formally agreed through the relevant constitutional procedures, therefore, it is reasonable to conclude that the payment is unlawful, and as a resident and taxpayer in Barnet I object in the strongest terms to what would appear to be a serious breach of the regulations that are supposed to protect our best interests, and I ask you to instigate an immediate investigation into the issues I have raised. I refer to your email of Tuesday 5th November which amongst other things invites me to investigate: payments to Capita; whether the nature of these payments changes the veracity of the original the outsourcing business case; and whether there has been a breach of the Council’s constitution in relation to payments to Capita. I have looked at these matters and my response is set out below. You assert that Capita is no longer making the investment in the Council’s IT infrastructure, but instead that the investment is coming from Council Reserves. You consider this to be: contrary to the business model approved by cabinet in December 2012 and contrary to public pronouncements about the benefits of the contract. I can assure you that none of these assertions are correct. receives investment of £16.1million in IT and other necessary back office infrastructurereceives service performance equal to or better than that currently delivered by the Council. The overall business model remains unchanged. Payments of the agreed £320m to Capita have been profiled over the ten year contract to maximise savings and service improvements to the Council. In particular, in the first year of the contract, to reduce the cost of capital in Capita’s contract price £16.1m of the overall £320m has been paid on contract award. This is not an additional contribution, it is within the £320m contract sum. Doing so has saved the Council – not Capita – an additional £0.8m. This sum contributed to the additional savings set out in section 9.4 of the published public cabinet report of November 4th . of investment from the Council. In fact as a result of the profiling of payments, tax payers benefit from additional savings. No impact on the Council’s balance sheet. The IT and other infrastructure assets that Capita will be purchasing will be recognised as capital assets on the Council’s balance sheet. This is the correct accounting treatment for the assets in these circumstances. It is for this reason and this reason only that the intended purchase of IT and other infrastructure assets by Capita are captured in the Council’s Capital Programme. I would add, that at any given point in time the Council holds cash balances in the region of £200m as reported publicly at Cabinet (and also publicly to full Council – in the annual treasury management strategy. The Council finds it necessary to place cash in the order of £50m on overnight deposit often generating no or very little return. This is a function of the paucity of investment opportunities that meet the Council’s stringent investment criteria. In this context, the front loading of the cash-flow of the £320m to release savings of £0.8m makes commercial sense and is in keeping with other routine treasury management decisions that are periodically made regarding the stewardship of the Council’s investment portfolio. As set out in the Council’s publicly published financial regulations these stewardship decisions are delegated to officers and quarterly treasury management reports are monitored by Committee, in public. The original business case set out that one of the benefits of an outsourced option would be that a private sector partner could afford to include capital investment in their overall bid price in a manner that the Council, acting alone could not. For the reasons set out above, this is exactly what has been achieved and it is what is happening. To suggest otherwise is misleading. 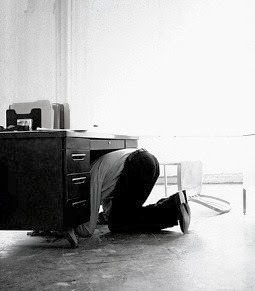 I’m afraid I don’t recognise your point about capped procurement savings. The contract (published here commits Capita to guarantee the procurement savings already identified by officers in the medium term financial plan. The contract includes a payment by results provision for procurement savings that are identified and delivered by Capita over and above this guarantee – where this is agreed in advance by the Council as the most commercially sensible way to proceed. The contract does not bind the Council to use Capita to deliver procurement savings. Accordingly, in the future, we can make a case by case judgement based on what is most commercially opportune for the Council. I’m afraid that you have misunderstood the purpose of the leader DPR on the 5th August 2013. Its purpose was to authorise the inclusion of Capita’s investment in IT and other infrastructure assets into the Councils capital programme. In this regard we are bound by a range of technical accounting standards. In summary, if assets are to be used by the Council, irrespective of who has paid for them or who controls their day to day use (in this instance Capita) then those assets need to be recorded on the Council’s balance sheet. In order for them to be included in the Council’s balance sheet, they first need to appear in the Council’s capital programme. I would draw your attention to paragraphs 5.2, 5.3 and 5.4 and the report recommendation at paragraph 10.1. of the publicly published report. Very clearly, this DPR does not concern itself with ‘the authorisation of a payment to capita’ or the ‘approval of a payment to capita’ or as you put it in your email to me “….after the leader signed off the £16.1m to cover the capital investment”. The DPR had nothing what so ever to do with authorising any payment to capita, it was simply a technical enabling decision to include Capita’s forthcoming investment into our capital programme. Evidently this needed to take place before the contract was signed, but after the judicial review outcome was known which was why it was agreed when it was. There would have been no point including Capita’s investment in the Council’s Capital Programme while ever that eventuality was in doubt. The key decision to pay Capita £320m (inclusive of the £16.1m) was made in the appropriate way by Cabinet on the 6th December 2012. It is quite wrong to misrepresent the 5th August 2013 DPR as decision to authorise any payment to Capita, because it was not. It’s a red-herring to connect the DPR of 5th August 2013 with decisions about payments to Capita. In summary, contrary to your assertion, there has been no change in policy, and no radical change to the terms of the business model agreed by Cabinet on 6th December 2012. Likewise, there has been no decision to use reserve funds for a capital investment payment to Capita other than that set out in the agreed £320m contract sum agreed by Cabinet on 6th December 2012. As all payments to Capita have fallen within the contract price agreed by cabinet I cannot conclude that there has been any breach of council regulations. I would be very happy to meet with you to discuss the contents of this letter in more detail. In the spirit of openness and transparency, and given that you have written extensively about these matters on your popular blog, please could I ask you to publish my response to your letter in full. Mrs Angry replied in full yesterday: as Mr Naylor appears to be copying all her correspondance to our elected representatives, she has returned the favour, for their entertainment and education. Thank you for your response to my complaint of 5th November. In response to my assertion that the £16.1 million transaction was contrary to the business model approved by cabinet in December 2012 and contrary to public pronouncements about the benefits of the contract, you claim that the 'overall' business model is unchanged. If you wish to maintain that the 'overall' business model is unchanged, this is an admission that there have been other changes within the framework of the agreement. It is a matter of argument and interpretation as to how significant those changes were. It is impossible to see how the council paying £16.1 million as part, you claim, of the agreed sum of £320 million can possibly be presented as the council receiving investment of £16.1 million, even if this was indeed what was the understanding at the time of approval by Cabinet in December. You state: in the first year of the contract, to reduce the cost of capital in Capita’s contract price £16.1m of the overall £320m has been paid on contract award. Paid by whom, Mr Naylor, and to whom? Have you not said this is not a payment by the council? You claim that by doing so, this has saved the council an additional £0.8 million. Additional to what? And when was this additional benefit agreed? Why was this 'saving' and the process for achieving it not identified earlier, and openly, as part of the agreement? "the front loading of the cash-flow of the £320m to release savings of £0.8m makes commercial sense and is in keeping with other routine treasury management decisions that are periodically made regarding the stewardship of the Council’s investment portfolio". The phrase you now use is 'the front loading of the cash-flow' - of which £16.1 million is part. The point is that the council and especially the Conservative members have continually presented the capital investment in IT as being an up front investment by Capita, not a part of the massive fee we must pay them for agreeing to make a limited amount of savings. I suppose I must refer you back to the many instances, including information on the council website, and many statements by the Leader, and Councillors Rams and Thomas, in which this IT investment is clearly portrayed as an 'up front' investment from Capita. It is not and has never been explained as the reverse - a fee from us to them, whether part of the original model or a later 'adjustment'. This lack of clarification is by any standard a significantly misleading concealment of the truth. You suggest the £16.1 million transaction is a routine decision, and merely one of those "periodically made regarding the stewardship of the investment porfolio". When was this decision made, and when - if at all - was this decision made clear to the elected members of the council? If it was not, why not, if the council is truly committed to the principles of transparency? It cannot be argued that such a decision is of no significance when clearly not one Conservative member - even the Leader - has been able to explain the issue, and in truth most of them simply did not know that this arrangement was in place. If they did know, then they have not explained this to residents and taxpayers, and have deliberately sought to present the deal with Capita as bringing a benefit which is in fact merely part and parcel of a commercial agreement that will generate huge profits for Capita shareholders, and only a limited amount of so called 'guaranteed' savings for us. We both know that in any contractual relationship, if the 'guaranteed' savings appear not to be being delivered as and when promised, there will usually ensue a long and expensive period of 'negotiation' between the authority and the provider and possibly legal challenge before - if - any agreements can be enforced. There is also the likeliness of hidden cost relating to service provision needs which the provider may argue was not part of the contract. On the issue of assets: although the assets we are buying for ourselves in the name of Capita are meant to revert to us at the end of the contract, to what extent will taxpayers be reimbursed for the depreciation in value that will inevitably result over a ten year period? How realistic will it be to expect to be able to reclaim and reuse assets located over such a wide area? In terms of IT, do the costs negotiated include the need for upgraded systems over the period? If not, why not, and how much more will we be charged? How does this affect the amount of 'savings' that we are promised? We are told that the difference in cost between the Capita deal and an in-house solution is £70 million. This sum, over a ten year period, is frankly negligable: £7 million a year in savings? Simply running the procurement of the many non-compliant contracts with current providers with some increase in competence and efficiency would have gone a significant way to making such savings. You have already spent a gobsmacking £10 million of our money on private consultant fees just to set up this deal, and handed over a further £30 million already this year to Capita. Taxpayers continue to pay fees to consultants, even now: how much more will this bill increase? After I raised questions about the supposed 'interim' payments which had not been returned by Capita, £4 million was quickly repaid. How long will it take to recoup the other expenditure incurred to residents? "The DPR had nothing what so ever to do with authorising any payment to capita, it was simply a technical enabling decision to include Capita’s forthcoming investment into our capital programme." We could continue to argue as to how this 'investment', part of the £320 million fee charged us by Capita, can fairly be presented as coming from Capita, but of course that is, as Labour leader Alison Moore stated, an act of political sleight of hand. 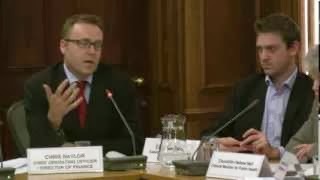 Setting that aside, we need to ask why a merely 'technically enabling decision' was signed by the Leader of the council, rather than the appropriate senior officer under delegated powers, and yet described as a 'non-key decision', when the matter concerns a matter with the value of £16.1 million, and affects more than one ward. Why are there no background papers listed for this decision, which is not a decision? You suggest that this action is compliant with 'technical accounting standards'. Is it compliant with European procurement laws? Did you take legal advice on this point? By refusing even to consider an in-house option, I believe that the authority has not made a fair assessment of the best value for money in terms of service provision: the best approach may well have been exclusively in-house, or a pragmatic choice of individual solutions for different areas. Why were these alternatives so studiously avoided? Could it have been due to pressure from consultants and bidders to commit to a private sector solution? Or was it that some Conservative members were following an obsessively ideologically based political agenda? Or for a combination of both factors? Why did the authority not have an adequate policy of risk management of the conflict of interest which occurs when senior officers transfer between the authority and private companies involved in the tender process before the tender process began? Was the in-house option discredited by a spurious argument on the need for outside investment, when there should have been an exploration of alternative ways of funding any required capital investment? And is the truth that the One Barnet outsourcing programme has been hi-jacked by those intent on facilitating a massive act of privatisation regardless of the best interests of the residents and taxpayers of this borough? I look forward to your next response. As you refer to the 5th August report in question 1 I can comment on the Constitutional element of that decision - for the capital virements that the report relates to the Constitution, specifically the financial regulations paragraph 4.4.3, Cabinet or Cabinet Resources Committee approval is required for all capital budget and funding virements and yearly profile changes. The use of Leader DPR - the Leader was effectively making a decision of the Executive as noted in the report “Responsibility of Functions 4.2 states that the Leader of the Council may discharge any functions of the Executive”. This states absolutely clearly, in my view, that the Leader DPR was a decision, and therefore by the definition of the constitution as stated here 'significant in financial terms or in their effect on communities comprising two or more wards' it is therefore perfectly reasonable to maintain that this should properly have been regarded as a key decision, not a non key decision, safe from the process of scrutiny and further approval. 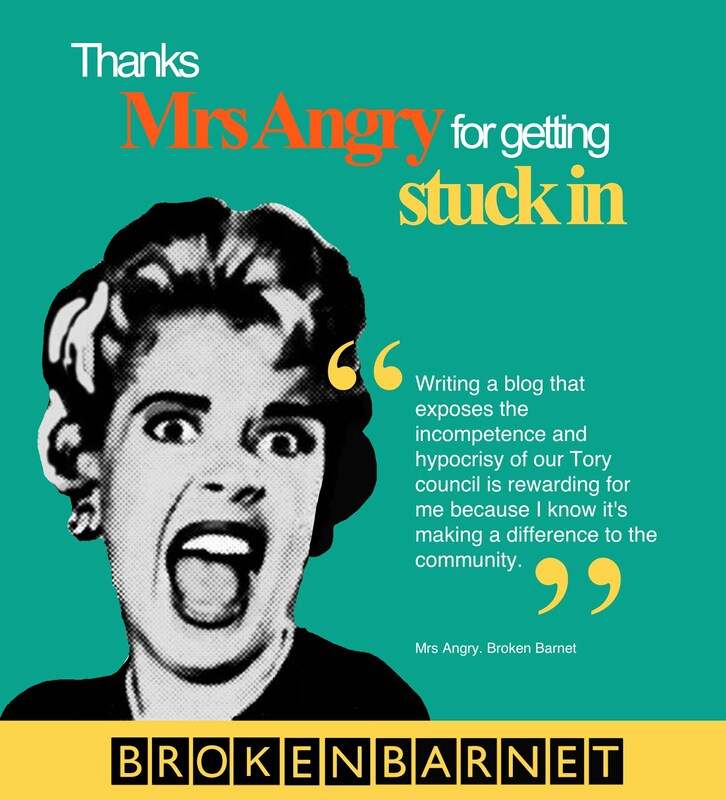 Mrs Angry wrote on the 10th of November to her fellow auditor (non armchair) Mr Paul Hughes, of Grant Thornton, external auditor of the London Borough of Broken Barnet, who is always terribly pleased to see or hear from her. She conveyed to him some of the concerns regarding the issue of the £16.1 million payment to Capita, and indeed today has updated him in the hope it might provoke a response. He has not replied yet, but Mrs Angry imagines he is a very busy man, and will get round to it one of these days.